"Tom is a rising star, who is technically gifted, extremely thorough and someone with a reassuring calm about him. He is always willing to go the extra mile for his clients." Tom’s practice is predominantly centred on financial remedies, cohabitation disputes, pre-nuptial agreements and Schedule 1 claims. 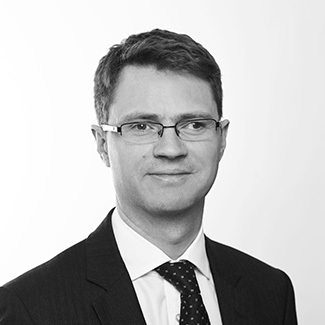 Tom has built up considerable experience in complex financial cases including those involving asset tracing, third party claims, off-shore trusts, contentious company valuations and international issues. Tom is also a Member of the Chartered Institute of Arbitrators. Tom is a member of FLBA. Member of the Chartered Institute of Arbitrators. Tom graduated from Manchester University with a First Class Honours degree in Philosophy. Tom lives in London with his young family.